The Alaia phenomenon has exploded with a wide variety of shapes now being ridden. 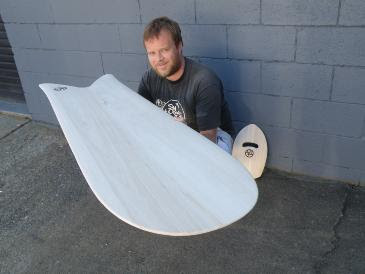 Today I shaped a 5′ Alaia based on a fish snowboard. 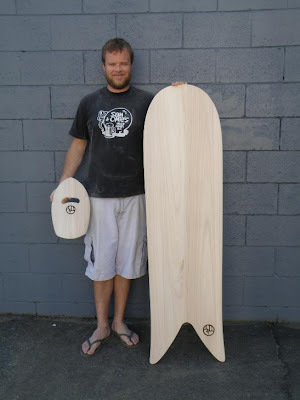 Beautiful lines and interesting design that is going to be ridden by James who normally rides a surf mat. Also shaped him a 13 1/2″ hand plane with cutout grip. My logo is burned into the wood. These two have yet to be oiled with a mixture of Linseed oil and turpentine which makes the grain go golden.